The gaming multinational companies waited (and challenged) for a long time an opening by Italy to become part of what is considered the most interesting market of Europe and, maybe, of the world. And now the opportunity has arrived, with the new licences for slots and vlts and, above all, with the new online gaming. For a market that now is really a global one. When Italy, a few years ago, proposed its own regulation model for the public gaming market, the monopolistic strategy realized by the Ministry of Economy was picked on by different parts into the European borders, with the charge of wild and potentionally inappropriate protection. But after several years of activity and a model sanctioned by amazing economic performances and the legitimation of the licensor system from the European authorities, the gaming multinational companies, even the ones who early withdrew to enter in Italy, now are queuing at the gates of our nation, waiting for the right moment. And it quickly arrived during the present year, with a double (re)opening of gaming on the double front of the amusement machines – made with the annuncement of competition for the slots’ and vlts’ licences – and of the online gaming – thanks to a second generation marked by the poker cash and the casino games. Merkur Italia – “The Italian market of the amusement machines, with new slots and vlts, is without a doubt a very interesting one, and for this reason the Gauselmann group, in its general reorganization, decided to strongly focus on its presence in Italy, as it represents one of the most important foreign markets”. Roberto Ronchi, ceo of Merkur Italia, former head of Merkur Interactive, and today at the leadership of the company after the recent merger of Merkur win and Merkur gaming says. And it’s not a case that Merkur Italia itself partecipated (in partnership with five companies of the field holding devices) to the announcement for the assignation of the new licences. While they are waiting for the verdict of the State Monopoly for the assignation of the new licences, the general approach is of maximum caution. “We have big expectations about the place we can obtain in this field”, Ronchi adds “A company like this, where there is the stock of a company like Merkur, which depends, however, by a single investor, and other medium little companies, can’t have the same aim of the big joint-stock companies that already have a licence, but we already have clear ideas on what might be our role”. Intralot Italia – Also Intralot is between the new possible protagonists of the Italian market of amusement machines. “On the one hand we have a network of 600 points which already connects about two thousand awp. We currently have about six hundred vlts and these numbers are already the ones for a concessionaire – Enea Ruzzettu, president of Intralot Italia, affirms – and for this reason we asked to become State concessionaires. The company that participated to the tender is Jackpot and through it we asked the Italian licence”. What are the future targets? “The first one is surely to satisfy its stores with a biggest incisive and interesting offer and then to set out for foreign lands, installing machines even on different networks or users”. What will be your partner for the technology? “At first we will refer to the agreement which originates from the commercial development with Cogetech, so at first its products will be our reference. And with the passing of time we will pass to an “independent” management”. 888.it – “I think that the Italians, in the world of online gaming, are second only to the Chinese. The Italian market offers the best opportunities of the gambling field in the world and, being a very rich market, also other companies want to enter in this field. The biggest problem we must face is the competition. The only solution is to be different from the others and try to offer to our customers exclusive games and a lot of unconventional marketing, as I learnt at the business school”. Pierfrancesco Geraci, managing director of 888.it, knows its mind about the potential that the Italian market of the online gaming offers: “The target of the casinò players represents a horizontal segment. They range over the twenty-years old boy with some money at disposal, to the fourty-years old business man, until the lady swathed in furs with a lot of time and money at disposal. We are concentring ourselves on the first two categories”. What are the strenghts and the weaknesses of the Italian regulations about the online casinos? “Right now we are enjoying the games legalization, so at present we are pleased to be regularly operational. These are young regulations and I think that they must be fitted, cleared and, not less important, enriched with the online slots”. Unibet Italia – Unibet, present in Italy since 2008, using at the beginning a “skin” on the Microgame’s platform, in December 2010 launched its own platform, offering only poker tournaments. Since August of this year, it added sports book, poker cash and casino games, and the debut of the live casino is close to complete the offer of the products”. “The regulated Italian market – Jeremy Beach, general manager of Unibet Italia explains – today is one of the largest online gaming markets in Europe and it continues to considerably grow. 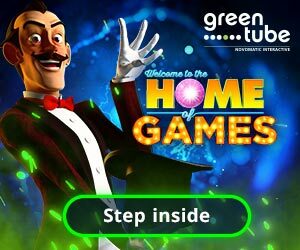 Unibet is sure that can continue to grow in Italy, constantly increasing the presence of its brand and offering a unique gaming experience to the Italian customers”. In particular, as regards the casino games, “the offer, currently limited to the table games, has given a considerable boost to the online gaming market. Unibet has been one of the first operators to offer a specific welcome bonus. The use of the best casino software provider together with attractive stimulus for our customers who play our games, are the guarantee of a “superior” experience for their customers”. Neomobile Gaming – “The Italian market is the first in which we operate as a mobile casino operator”. For this reason Neomobile Gaming, which finally obtained the ultimate licence to online operate in Italy, is preparing itself for a debut in perfect order: “We will introduce ourselves with a specific offer for the web and mobile casino games”, Francesco Postiglione, managing director of Neomobile Gaming, explains. “We will start with the Microgaming suite as regards the web and we will add within and no later the first quarter of the 2012 a unique set of customized cross platform mobile games for the main smartphones on the Italian market”. Postiglione also hopes that the fight to the dot com “continue non only through the clouding of the illegal websites but above all through a licencing system that forces also the gaming service providers to obtain a licence in order to supply their products only to the legal Italian gaming operators, and not to the dot com, as unfortunately often happens”. How much do you expect to the mobile casinos and to the live online games? “The mobile casinos represent our reason of being, so we expect a lot to them, without underestimating the web. About the live online I will answer if a few months”. Net Entertainment – “Italy is a key market for Net Entertainment, and we view the long term growth opportunities as very positive. Our focus on operational and portfolio excellence, will allow our customers to provide the best gaming experience to their players, and we are confident this will support our mutual agenda for sustainable business growth moving forward. We have a close cooperation with AAMS and other local stakeholders, which allow us to act swiftly as and when required. Yes, I believe that Net Entertainment is well positioned to take a leading role in providing the best in breed casino games moving forward, and to take an active role in the continuous development of the market” comments Björn Krantz, Acting CEO of Net Entertainment. “The mobile gambling market represents a sector with strong expansion opportunities in the coming years and the high smartphone penetration in Italy in combination with openness for new access channels will provide for exciting additional revenue streams. Mobile gaming is a focus area for Net Entertainment, and I am sure we will see an extension of our portfolio in Italy sooner rather than later. 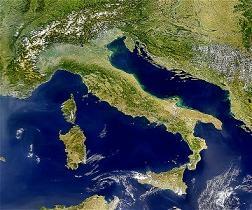 We feel Italy is an ideal market for online, and for extension of mobile games” he continues. Net Entertainment is a premium provider of casino games used by some of the world’s most successful and prominent online gaming operators. For the Italian market Net Entertainment has already signed license agreements with operators such as Gioco Digitale, Bwin.it, Microgame, Intralot, Unibet, Betclic, G.Matica and Interwetten.